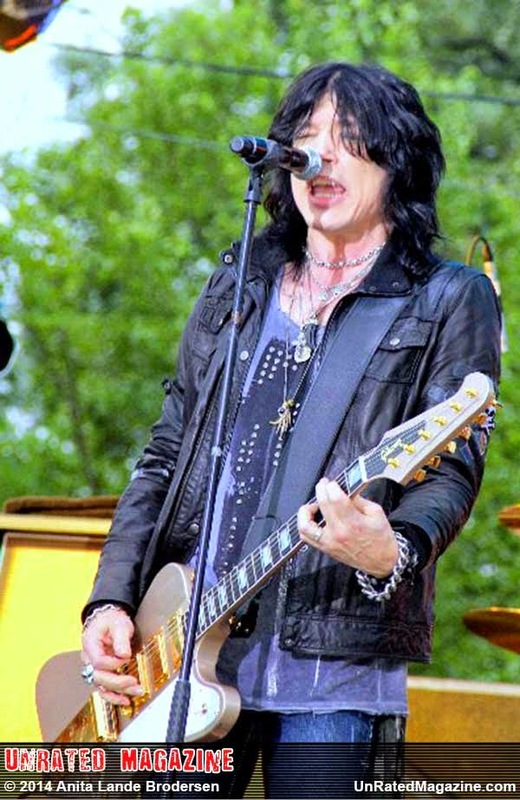 Singer/songwriter/multi-instrumentalist Tom Keifer rolled into McHenry, IL to shake things up a bit at their annual Fiesta Day's concert series. Keifer, who is best known as the founder of the rock band Cinderella, punched together a new band in support of his solo debut "The Way Life Goes." Taking nearly nine years to complete, Keifer introduced many of the new songs off the new album while driving into many of his hits from his band Cinderella. With threatening skies above the outdoor show opened with Keifer launching into "Night Songs" which could be his signature song with his former band Cinderella then tore it up introducing his fans to a few new songs like hard hits "It's Not Enough," "Solid Ground" and "A Different Light." During his set his wife Savannah, who co-wrote many of the new songs, joined him to sing back-up on "Ask Me Yesterday", "The Flower Song," and "Don't Know What You Got (Till Its Gone)." The blend of Keifer's classic rock hits with his new songs proved a simply flawless set. With throat issues over the years and many surgeries later, Keifer delivered a picture-perfect performance during a slightly rainy evening in July. The crowd was pumped hearing other classics like "Somebody Save Me," "Shake Me," and "Nobody's Fool." Keifer, the ultimate rocker, has proven that his solo debut was well worth the time he spent on it.Check out his new album and tour schedule and you just might need a shot of gasoline!